When your kiddo’s first tooth peeks through the gums, it’s time to visit the dentist. In the alternative, make sure that your child visits the dentist right around the first birthday. Starting professional cleanings early helps your child develop good oral hygiene habits, keeps new teeth healthy and prevents cavities. As a parent, you have lots to learn at these appointments, too, including proper cleaning methods and the recommended dosage of fluoride based on the child’s age. Remember to set a good example and help your child learn the best way to care for teeth. Practicing good teeth cleaning habits now makes it more likely that your child will stick with those routines as they grow. Before you visit the dentist, make sure your child will get the care they deserve and you, as a parent, will get the information that you need. This can be challenging. Should you visit a pediatric dentist, or take the child to your own regular dentist? The choice is up to you, but it often helps to ask for recommendations from your own dentist or your child’s pediatrician. Once you’ve narrowed down the choices, go for a visit. Do you like the office? Does it feel friendly or homey and comfortable to you? Do you like the staff? Feel free to ask questions during your visit. Professionals welcome the opportunity to share their expertise with you. 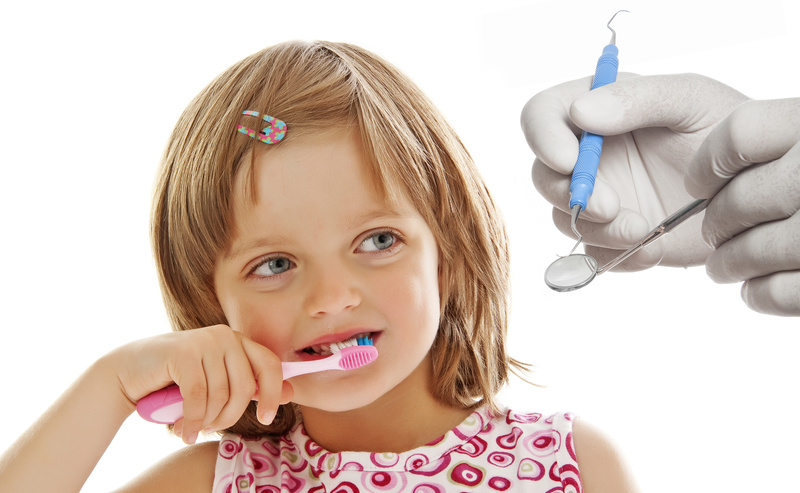 The goal of early dental appointments is to lay the groundwork for good oral health. Like adults, it is best for children to visit the dentist every 6 months. To promote optimal oral health, set a good example at home and keep up with your child’s regular dental checkups. Your dentist should help you understand your role in your child’s oral healthcare. You will receive information about your child’s oral development, and how to care for your child’s teeth at home. You’ll also have the opportunity to learn about risk factors for cavities, tooth decay and the prevention of other oral problems. Feel free to bring a list of questions with you to the appointment. Your child’s dentist and staff will be happy to answer them. The first dental exam can be intimidating or strange for some kids. Call the dentist’s office prior to your child’s appointment to ask for tips about how best to prepare. The dental staff will give you some great insights so that you can prepare your child for this new experience. As an example, at the first appointment in our office, Dr. Haslam will evaluate your child’s gums and tissues, jaw, teeth, and bite to determine whether any areas are in need of attention. He or one of our staff may also perform a gentle dental cleaning or take x-rays at that time. One word of advice: remember to take your time and have patience. Develop a Plan B – just in case. If your child has a tantrum or is extremely anxious, it’s okay to reschedule and try again later. To schedule your child’s first dental checkup with Haslam Family Dental, contact us in our Billings office today.